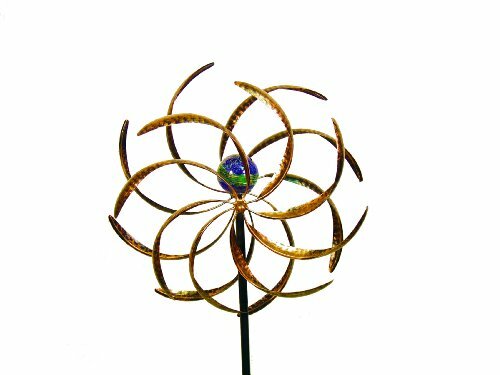 The Illuminarie Leaf Dual-Motion Wind wheel from Echo Valley is a beautiful kinetic metal and art glass garden sculpture. The leaf designed wheels comprising the wind wheel spin counter-motion on a windy day. The center illuminarie 2.5" globe encloses mineral crystals that absorb light energy during the day and glow at night. The threaded KD stake allows for varying heights. Measures: 15.75" x 5" x 45". 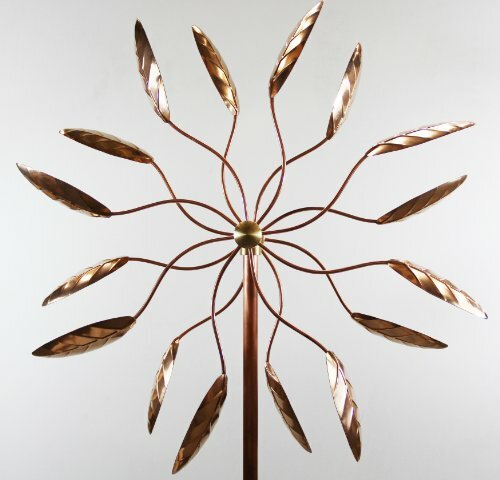 Stunning copper kinetic wind sculpture with a theme of spinning ficus leaves. The leaves are oriented in a way that enables two wheels to spin elegantly in opposite directions at all times with the slightest breeze. 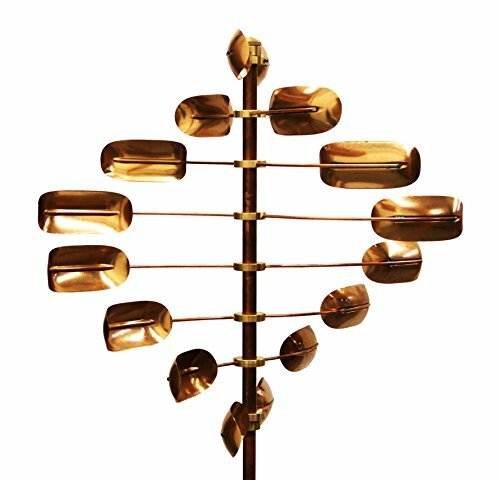 The kinetic sculpture can withstand strong winds up to 70 mph. Size: Pole is 6 ft tall. Each wheel is about 2 ft in diameter.